Our windows are en-route from Poland and should be ready to begin installation tomorrow Tuesday 13th November. The windows are VEKA profiles from Amberline Ireland and feature a 70mm PVC profile and triple glazed units with tilt & turn WinkHaus hinges on all the opening windows. 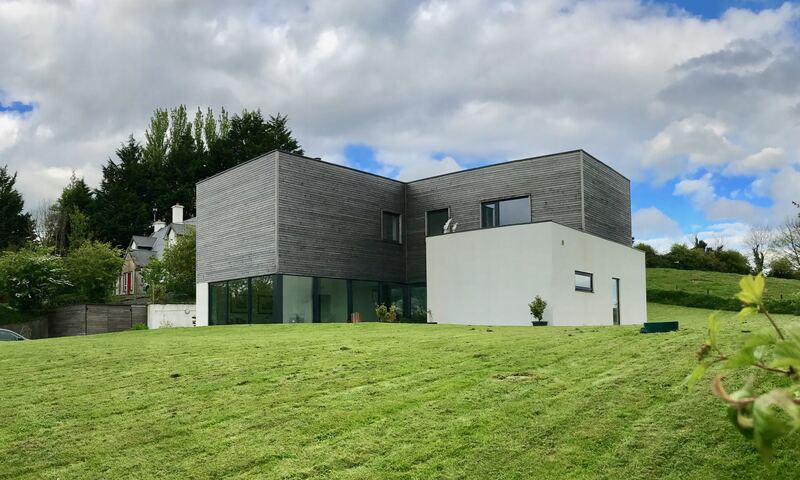 Amberline Ireland are the suppliers of all our windows, sliding door and front door and were selected for their combination of cost, expertise and a number of client testimonials/ recommendations. We are really looking forward to getting the windows installed so the house can dry out and we can begin the interior plumbing & electrical fit-out.